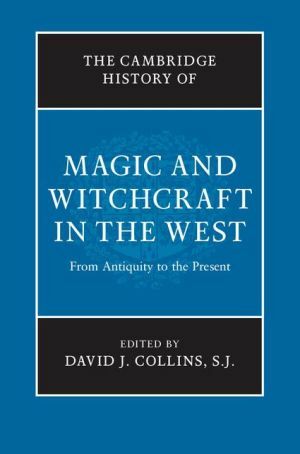 My review of The Cambridge History of Magic and Witchcraft in the West, edited by David J. Collins SJ, has just been published in vol. 3 issue 2 of The Journal of Jesuit Studies. This huge collection, which runs to 728 pages, is likely to become an authoritative text in the field and covers the entire chronological range of what could be considered ‘magic’ and ‘witchcraft’, from the ancient Near East to magic in contemporary paganism. The book features an impressive line-up of scholars, but its most important feature and what sets it apart from other texts in the field is the comprehensiveness of its chronological span – there are no gaps here, and the Enlightenment and the nineteenth century are treated alongside more well-studied periods such as antiquity, the Middle Ages and the Reformation era. This is a book that should be on the shelf of every historian of religion (if they can afford it…). Interesting. Wish I could read the review but don’t have a subscription to the journal. Is there any particular reason for why it should be on every bookshelf? Mainly because it is the best one-stop collection of chapters on the history of magic covering such a comprehensive chronology. This entry was posted on March 4, 2016 by jacobite.